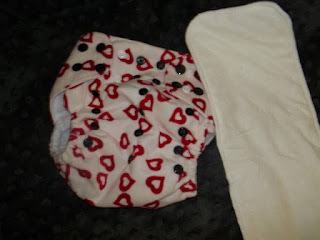 I was so excited to receive the EcoRumps Heart Minky cloth diaper from Rump Arounds a Canadian cloth diaper retailer. First off it is so super cute and the minky outer is super soft and makes me feel good about putting next to my baby's skin. This diaper is one of my favorites because it is truly a one size diaper, with 4 rise adjustment snaps it fits XS-L and goes from a teeny tiny 6.5 lbs to 40 lbs! I use it with my one year old and it still fits on my almost three year old 35+ pounder! It also has tons of snaps along the top to allow for lots of adjustments and no wing droop! It also has extra snap wrap snaps that allow you to roll the diaper up snap it and put in your pail as you would a disposable diaper! Great feature especially when your out and about and want everything as contained as possible. The Rump Arounds diapers are also super affordable! The diaper has an outer PUL shell so it is water proof and does not require a cover and the inner is a soft cotton material. It is a double gusseted diaper, which is huge for mom's like me with big pooper kids! It is the row of material on each side of the inside of the diaper which helps to keep all the mess inside and contained!!! 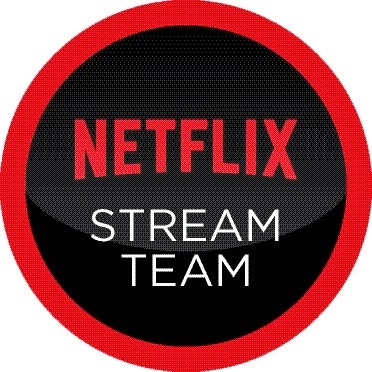 This is a super great feature that I LOVE!!! Each Diaper comes with a 3- layer 100% bamboo insert. You do need to wash the insert at least 5 times before use and 10 times to get to the optimum absorbency but I love that the one that comes with it is a natural material and they are super absorbent. I could not resist saving this review for Valentines as it is soooo super sweet and will be on my baby's bum this Valentine's day! I LOVE this diaper! Find a ton of different prints and styles on the Rump Arounds Website, and find them on Facebook and Twitter. They also carry accessories and even Cloth diaper Cakes!! I've never tried Rump Arounds but would love to try a C.D.L.C diaper! I like the ebony ecorumps charcoal bamboo diapers. I also like the wool dryer balls! Wool dryer balls would be great! I love a lot of the prints especially these: Paws-itive Minky E-E-R, Safari Minky E-E-R, Alphabet Soup - Red R-A-A, Mickey Mouse Minky R-A-A, and Monkey Bliss R-A-A. Green and blue polka wet bag! Their polka dot wet bags are very cute! I like their diaper cakes! I love the color of the Deep Purple Minky wetbag! The wool dryer balls look great too. the Dino Minky Wet Bag and their prices are amazing! I would love the B&W Cow Minky Wet Bag! I really like the charcoal ones, what a good idea! B&W Cow Minky E-E-R ... I can't wait to try charcoal bamboo diapers! Love the mini diaper cake. Perfect eco friendly baby shower gift idea! CDLC pocket diaper looks good.